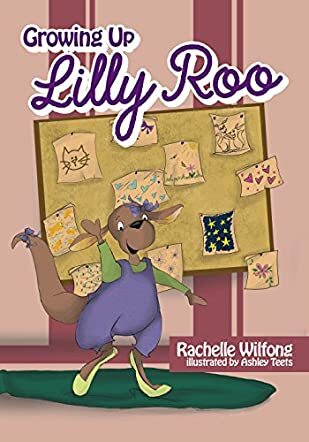 Growing Up Lilly Roo by Rachelle Wilfong revolves around Lilly Roo who realizes that she is growing up and can do a lot of things. She can skip, jump, and twirl around. Now that she is big she cannot fit into her shoes. Her pants have become short and her shirt looks funny. Lilly Roo’s mother has measured her and she is now three feet three inches tall. She is now bigger than her brother and her puppy. Lilly Roo makes growing up look fun and the author makes it interactive with some fun exercises at the end of the book. Are you ready to join Lilly Roo and start measuring yourself and the things around you? This book is a fun read and I like the way the author introduces the concept of measurements and measuring to young readers in a simple and easy way. The illustrations are lively and they bring clarity to the author’s words. They make the characters come alive and readers will find themselves connecting easily with Lilly Roo and her growing up stages. Lilly Roo’s character is adorable and lovable and readers will love her antics while growing up. Books like this are good for parents, tutors, and educators to read out to children and students as it will help them to understand about measurements in a fun and interactive way through the character of Lilly Roo. The exercises at the end of the story are beneficial for youngsters to see if they are good at measuring themselves and the things around them. I would recommend this delightful book for one’s personal collection at home and school libraries because of the concept. We love Lilly Roo! And the story is quite true. Children grow up so very fast these days. So take the time to read Growing up Lilly Roo to your children and grandchildren. Measure them and see how fast they are growing!